Learn more about expert franchise broker Vicky Tade and the team of experienced business professionals at Franchise Seekers. When you work with Franchise Seekers, not only do you form a personal relationship with experienced business woman Vicky Tade, you receive the knowledge and backing of her entire franchise brokerage network. The Franchise Seekers team has completed extensive training programs that include legal training, franchise and business opportunity industry training, client training, profitability studies, franchisor training, and more. I’m proud to bring the expertise of an entire network to focus on your franchise or business opportunity search. Training and continuing education is essential to the success of our entire team. We work hard at keeping abreast of latest business trends so that we can give you every edge. Take a look at the feedback from our satisfied clients. Vicky is herself a successful franchise owner and understands firsthand the overwhelming nature of franchise exploration and purchasing. In fact, she wished that she had the help of a franchise broker during her search. Vicky is dedicated to making life as easy as possible for her clients. She can help you succeed, steering you from start to finish using her simple but proven steps. She focuses on getting to know you and helping you choose the correct opportunity that’s best matched to your personality and strengths. Here is a quick reference for Vicky Tade. She is someone near and dear to my heart. I got to know her very well over the last year that we have been working together. One of the key attributes that Vicky displays is total loyalty to her clients. She is someone who is incredibly professional, thorough, dedicated and sincere. She works with a large team of franchise consultants and other franchise professionals including accountants, lawyers, developers, national trainers and speakers on franchising on a daily basis. She is a wonderful lady who has a strong moral and ethical character. She went through an extensive training program as a franchise consultant. It was one of the best programs in the country. She has a great team and she continues to display excellence in what she does by the quality of the interactions she provides her clients. One of the keys in any business is who you surround yourself with. She is a top rated professional who I believe you will love having on your team because her heart is in this. She will show you how committed she is to your success throughout your interaction with her. It’s not enough these days to just help someone buy a franchise. She is as committed to your success as you are. I can guarantee you, she has your best interest in mind. I meet a lot of professional consultants, and Vicky stands out as a star. Vicky Tade is a highly respected business professional. She began her career after college going to work for a small company that specialized in corporate risk assessment. As the Director of Operations she opened 7 offices in the Midwest and added 45 employees in a matter of 2 years. She moved on to purchase her first company in 1999 grew that company to annual revenues of 500k and then sold it. 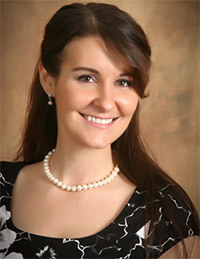 She purchased her first franchise in 2005 and remains as one of the directors. She began researching franchise opportunities in 2012 looking for her next venture. She met a franchise consultant who introduced her to the Franchise Training Institute business opportunity. After much due diligence she invested in the opportunity and completed her training. When she was looking for her first franchise in 2005 she wished she had worked with a franchise consultant and recalls “I was a bit naive as to all of the intricacies in franchising”. Her goal now is to assist others with their search by building relationships, earning their trust and listening to what they are looking for. She has developed a systematic approach saving her clients time and money helping them find the right fit. She recently worked with a couple for over 4 months and though they decided that the time was not right for them to invest in a franchise-it was satisfying for all because we came full circle to making that decision. The paid me the best compliment by saying “I was the best listener” and appreciated that I worked with them with patience. One other comment she has heard consistently from those that have invested is that they feel they made the right decision, would do it again-but, have never worked so hard in their lives. She was the winner of the 2013 Rookie of the Year award at the International Franchise Broker’s Association Conference. She was the winner of the 2014 bronze Franchise Broker of the Year award at the International Franchise Broker’s Association Conference. She was the winner of the 2015 Silver Franchise Broker of the Year award at the International Franchise Broker’s Association Conference. She has been awarded the Franchise Immigration Specialist certification and hopes to complete her CFB (Certified Franchise Broker) certificate this year. Enough about us – At Franchise Seekers, it’s all about YOU! You will treasure your bond with Vicky Tade – not only during the search phase but as part of her network of entrepreneurs once you get set up. You will feel the confidence that comes from assessing your strengths and applying them to your business opportunity or franchise system search. By working with a seasoned franchise professional who keeps tabs on the entire business landscape, you’ll be made aware of opportunities that you may not have considered on your own. Having the experience and objective viewpoint of Vicky Tade to rely on will save you from investing in an opportunity that’s just not right for you. Vicky will use her proven system to match your personality and individual preferences to find the right match. She’s got your interests at heart! I had an inspiring experience working with WSI executives and Vicky Tade of Franchise Seekers. Without Vicky’s help, I would have never found the right business opportunity for me that fits my background and strengths. Working with such a professional group of people is reassurance that I will be successful.